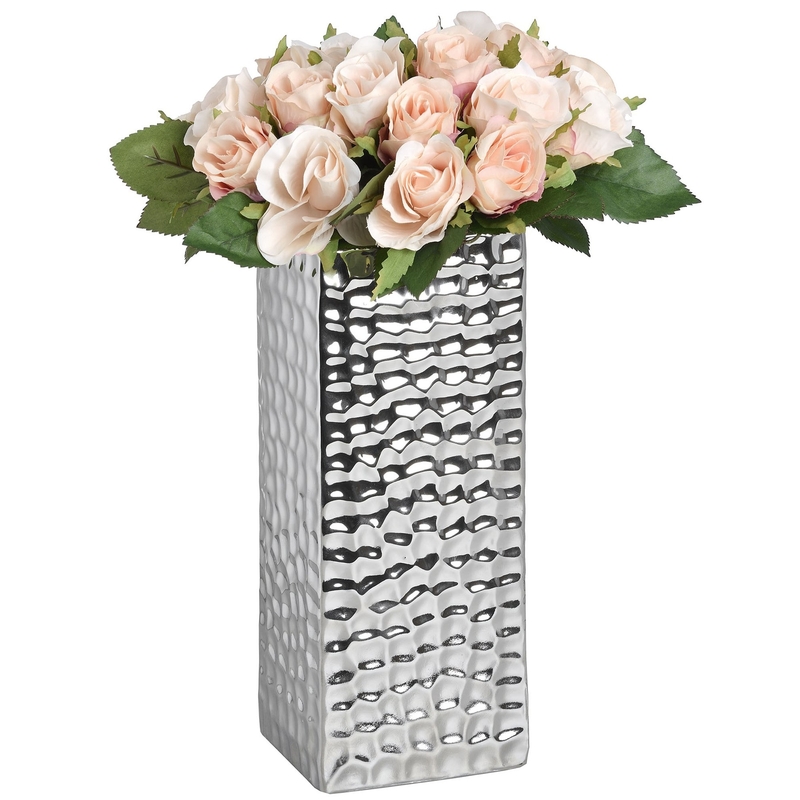 Simplistic but beautiful, the Square Silver Dimple Vase will make for the perfect addition to any room in the home, a beautiful piece to act as a focal point as it will effortlessly draw the attention of anyone who sees it. If you're looking to add even more beauty to this wonderful piece of decor, than you could add artificial flowers or real ones, whichever fits your liking, both these options will bring out even more beauty from this vase. Featuring a squared design which allows it to also fit well with your current furniture and decor, the dimple vase has been made from high-quality materials allowing it to last through generations.